Size 6 - $107.99 Size 8 - $107.99 Only 2 left! Size 10 - $107.99 Only 5 left! Size 12 - $107.99 Only 7 left! Size 14 - $107.99 Only 1 left! 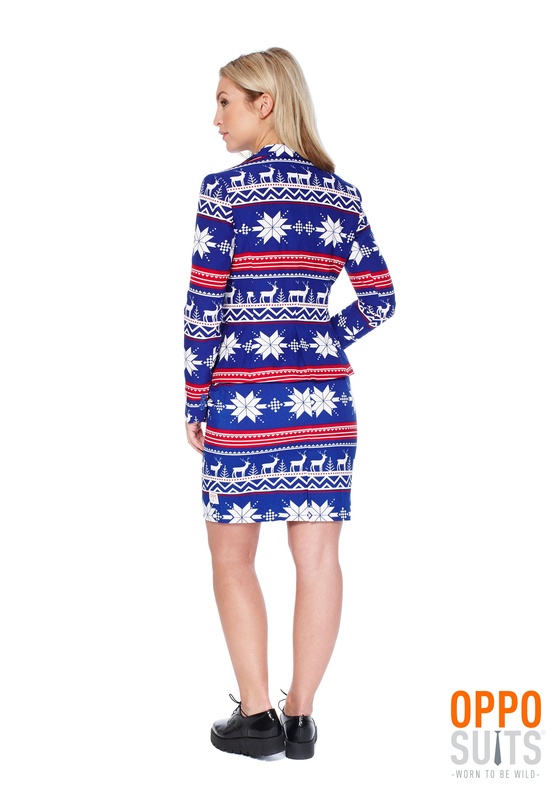 When the weather outside is frightful your closet can kind of seem spiteful. You don't want to be one of those people that only wears black in winter, spurring fun holiday garb for black turtle necks and stream lined winter slacks but all those Christmas sweaters can be too bulk and casual. How is a girl to choose? Winter calls for cheery colors and uplifted spirits but have you ever noticed that all those bulky sweaters sometimes make for less than flattering photos? Sure, a few photos wearing that Rudolph sweater can't hurt but if you're wearing it in every holiday photo for six years straight those family photos hung in Grandma's living room can start landing a blow to your self-esteem. You're more than a cheery reindeer head and yards of wooly yarn! We've got good news! It turns out, you don't have to sacrifice cheer for a more structured ensemble. 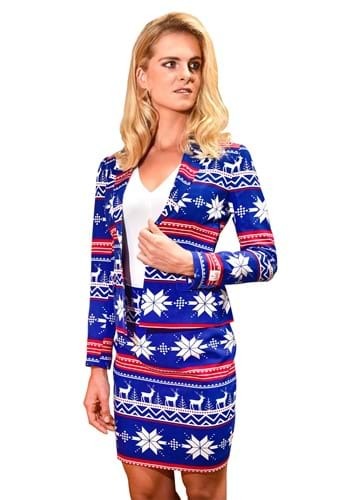 In fact, whether you're showing up to a Swiss chalet, skis in hand, you're accompanying a companion to their company's holiday bash, or you're taking the annual family photo this Christmas sweat suit will be the perfect fit for each occasion! 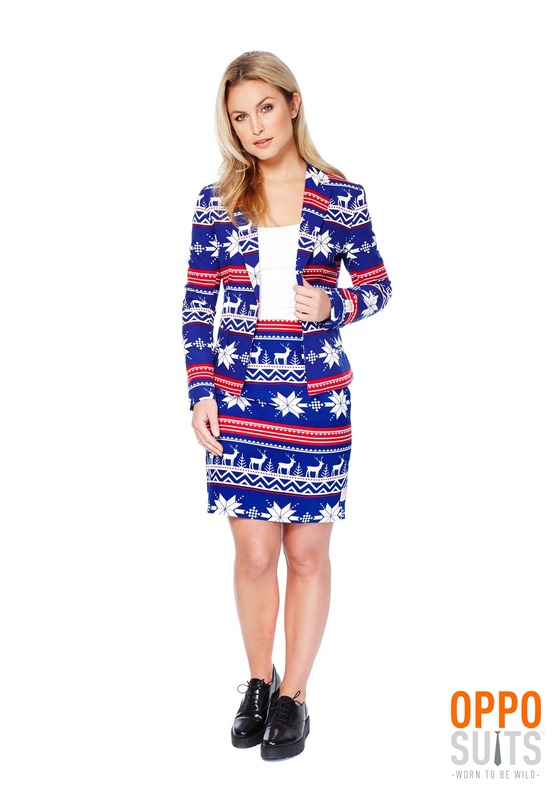 This suit has a cheery royal blue background with Nordic flowers, red stripes, and reindeer making a classic sweater pattern. If you're lucky enough to live in a warmer climate you can pair it with a tank or if you're wrapped in a winter wonderland layer this ensemble up with a turtleneck and fleece lined tights. Staying classy and cozy as you're curling up with a hot cocoa or clinking glasses at a fancy party will be easy this holiday, suit up and embrace that Holiday spirit!